What are real estate buyer agent fees in NYC? Whether your are buying or selling, it’s important to know how much commission real estate buyer’s agents earn in NYC. The good news is that the services of buyers’ agents are free for NYC home buyers. The bad news is that sellers pay for all commissions, and this commission is baked into the sale price. This means that NYC home buyers are indirectly paying for this commission through a higher sale price. The only real way for NYC home buyers to get a lower purchase price is to work with a buyer’s agent who offers a NYC broker commission rebate. In this post, we discuss everything you need to know about real estate buyer agent fees in NYC for both buyers and sellers. How much are real estate buyer agent fees in NYC? How do you find a buyer’s agent in NYC? How can I save money as a home buyer in NYC? How will buyers’ agents try and persuade me to work with them? Are real estate buyer agent fees in NYC pure profit for the agent? 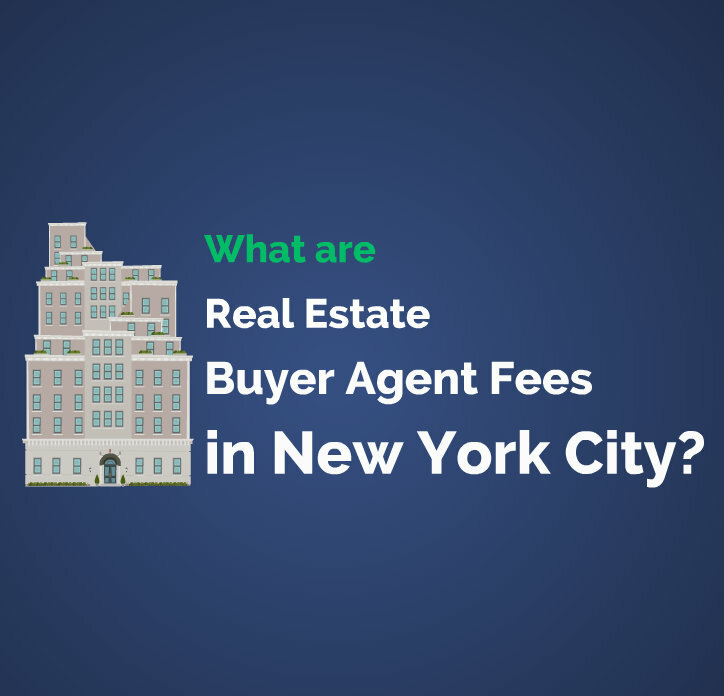 What are real estate buyer’s agent fees for NYC home sellers? How much commission should you offer to buyer’s agents? Can I start with a low buyer agent commission and raise it later? Real estate buyer agent fees in NYC are very high. They can be anywhere from 2-3% of the sale price, and in some instances significantly more or less. We’ve even heard of buyer’s agents being paid 3% AND earning an additional $10,000 gift card on top of the 3% for bringing a buyer to a new development! As we previously mentioned, the average real estate commission in NYC ranges from 5-6% of the sale price, split between the listing and buyer broker. Considering that average home price in Manhattan reached $1.87mm in 2015, 6% commission on that sale price is over $112,000! And since commissions are typically equally split among listing and buyer brokers, your buyer agent can expect to make over $56,000 per transaction on average. To help put this in perspective, the average home price across the US is only $250,000, which means your local NYC real estate agent could potentially buy an average US home from commissions earned after only two listings! You may be wondering – why does a buyer’s agent get paid so much money for potentially only attending a few showings, making some phone calls and filling out a purchase application for a buyer? If you think about it, the hourly wage for a buyer’s agent on a moderately priced listing in NYC could be over $1,000 per hour! Although the buyer agent commission is paid by sellers, the reality is that the sale price is higher than it should be due to the inclusion of the commission. The challenge is that virtually all sellers contractually agree to pay a fixed real estate commission regardless of whether a buyer agent brings in the buyer. As a buyer, the only way to remove/offset the commission bill from your sale price is to request a discreet NYC buyer broker commission rebate. Like over 90% of home buyers in New York City, you began your home search on a popular internet real estate search website like StreetEasy. You peruse a few listings and hit the ‘contact listing agent’ button a few properties. Before you know it, you have NYC’s army of buyers’ agents calling and emailing you to offer their services for your home search. Buyer’s agents will begin asking you about what neighborhoods you’re interested in and “what’s your price range?” All of this will occur despite the fact that all you really wanted to do was search a bit on your own and find out a bit more about a few properties you liked the look of! PRO TIP: If you are a NYC home buyer who finishes reading this article, you will likely realize that the best way to find a buyer’s agent is to request one that will offer you a discreet, cash-back commission rebate on your purchase. Note that virtually no full-service, traditional buyer’s agent who reaches out to you in the manner above will offer to rebate a portion of his or her commissions to you. Receiving a NYC broker commission rebate from your buyer’s agent is just about the only way for a home buyer to fight back against egregiously high commission rates. For the reasons mentioned above, there’s virtually no tangible or guaranteed benefit to being unrepresented. Sellers in NYC have agreed to pay 6% in commissions no matter what, regardless of whether or not you have a buyer’s agent. If you are unrepresented, the entire commission just goes directly to the listing agent. Since the seller is paying 6% no matter what, it makes no difference to them that you are unrepresented. Your offer has to be the highest/best for you to win the property. Furthermore, the seller really doesn’t care that the listing agent will earn even more commission just because you don’t have an agent. The seller probably thinks they are paying too much commission anyway! Submitting an offer as an ‘unrepresented’ buyer in NYC in order to negotiate a lower price deal is not realistic becuase sellers have already contractually agreed to pay a fixed commission. Therefore, being unrepresented as a buyer in NYC offers you zero pricing advantage due to the REBNY co-broking rules. An unrepresented buyer may have an advantage in other parts of the country, but NYC’s real estate market is not like that of the rest of the country (see: NYC has no real Multiple Listing Service). Any ‘benefit’ from being unrepresented is nothing more than an intangible feeling of having gotten a good deal, whereas if you request a NYC commission rebate you are receiving a tangible, cash payment for working with a buyer’s agent. The latter offers you real savings. We’ve seen NYC home buyers receive upwards of $50,000 or more their buyer’s agents as a closing gift. Receiving a NYC real estate commission rebate will help to significantly offset your NYC buyer closing costs. The seller has marked up the price of the home to account for the broker commission. The NYC listing broker will typically share half of the commission if a buyer’s agent is involved. NYC brokers are contractually obligated to “co-broke” their listings, meaning they must split their commission 50/50 with a buyer’s agent. There is no disadvantage to having representation because of contractual co-brokerage. Not completely, because most salespeople have to give 50% or more of their commissions back to their brokerage. Keep in mind there are agents and there are brokers with different types of licenses. Brokers have more experience, can hire and supervise agents and can open up their own brokerage. Only brokers are allowed to directly accept fees. Agents are all independent contractors who work for the broker and are paid by the broker. There will typically be some sort of commission split negotiated between the broker and the agent. Larger brokerages typically get away with a 50/50 commission split with new agents, ramping them up to approximately 70% take home commission after hitting around $300,000 in annual commissions earned. There are also brokerage firms that pay out very high or even 100% of commissions to agents. These firms typically charge some sort of running monthly fee to agents to help cover their costs. In most parts of the country where the average home price is $250,000, six percent commission only gets you $15,000. After a 50% split with the brokerage, the agent is left with only $7,500 to pay for all the above mentioned expenses. Fortunately, as an independent contractor the agent will be able to deduct those expenses from taxable income. Unfortunately, they will typically still have to pay taxes in addition to all of the above mentioned expenses. Although listing agent commissions in NYC have finally started to decrease, buyer’s agents are still used to earning 3% on pretty much ever deal. Make no mistake: buyer’s agent commissions are often below 3% in today’s market, however there is far less pressure to lower those commissions as there is with listing agent commissions. The goal of any NYC FSBO seller who wants to work with buyer’s agents is to offer a ‘competitive’ commission to buyer’s agents. The meaning of the word ‘competitive’ is subject to interpretation however. We’ve heard of numerous examples where traditional buyers agents will go ‘on the record’ and rebel against buyer’s agent commissions lower than 3%. Even though it’s incredibly unethical to steer buyers away from listings purely on the basis of the commission being too low, the reality is that it happens all the time. In one recent and particularly egregious example, we heard from a 1% full-service listing client of ours that the buyer’s agent on the deal never bothered to confirm the buyer’s agent commission on the listing. After her client accepted an offer and signed the contract, the buyer’s agent noticed that the commission invoice said 2% instead of 3%. After a day or two of no response, the buyer’s agent begrudgingly accepted that the buyer’s agent commission was only 2%. She simply responded: “confirmed”. How much commission to offer to buyer’s agents is a question which only you as the seller can answer. When thinking about what ‘co-broke’ commission to offer buyer’s agents, it’s important to understand that over 75% of buyers are represented by agents in NYC who are obviously looking to make as much money as possible on each deal. Offering a more attractive commission than your neighbor’s competing listing will therefore mean that you will likely attract more buyer agents (and their clients) to your listing. The answer to how much commission you should offer to buyer’s agents ultimately depends on how much competing inventory your listing is up against. For example, luxury new construction units almost always offer 3% commission in NYC because there is lots of competing inventory at this price point. Some new developments even offer an occasional $5,000 or $10,000 bonus to buyer’s agents on top of the standard 3% commission. If a new development offered just 2% or 2.5%, a buyer’s agent will likely only show this building to his/her buyer after all other listings have been exhausted. Conversely, if there are only 2 other listings comparable to yours on the market it’s likely that most buyers will find your listing even if their agents do not actively ‘pitch’ it to them. The argument can therefore be made that you don’t necessarily need to offer 3% commission in order to attract represented buyers. 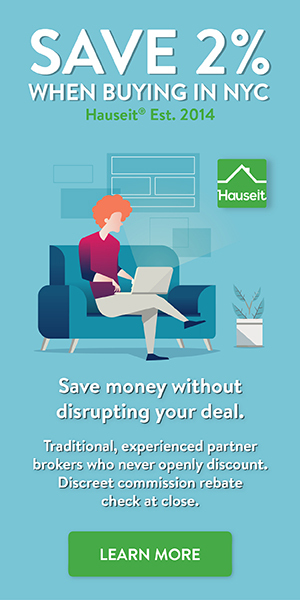 If you are selling full-service for 1% or listing FSBO in NYC, then you may be able to leverage your savings on the listing agent commission side by offering a more competitive co-broke commission to buyer’s agents than competing listings. The choice of how much commission to offer a buyer’s agent is ultimately something which only you as the seller/owner can make. Because over 75% of buyers are represented, offering an uncompetitive commission to buyer agents will effectively limit your listing exposure to just 25% of the total buyer base. Buyer’s agents in NYC will flat out boycott any listing whose commission rate is unacceptably low. Non-starter. Tell your sellers to take whatever offer they get after first open house. It will be crickets after that since the sellers have effectively told buyer’s agents to take a hike and direct buyers without agents are cheap and/or unmotivated. Unfortunate. If they offered 2.5%, they might get a big bidding war and multiple offers over ask. That’s ridiculous. We are not interested. While there’s no prohibition against offering a low commission initially and raising the buyer agent commission later, this is generally considered to be a very bad idea. Doing this makes very little sense because once you raise the commission, there is no way to broadly ‘announce’ the increase to the market. Most buyer agents who initially saw that you were offering an unacceptably low commission will dismiss your listing and never look at it again. Even if you were to individually reach out to every agent who inquired previously and announce the increase, there’s still no way you can reach the agents who were displeased with the commission rate initially but never reached out to you. In other words, your initial buyer agent commission decision can have a permanent impact on the outcome of your sale. If you offer an unacceptably low buyer agent commission rate, you will receive virtually no traffic from the 75% of buyers who are represented by agents. Having just 25% of the total buyer base looking at your listing will inevitably result in less demand, fewer offers and possibly a lower sale price and longer time spent on market.